The First Foot Guards are a regiment from the Sedgemoor 1685 campaign in the West Country. The Majority of members of The First Foot Guards are also members of Prince Ruperts Regiment of Foote. Ruperts are a regiment in The Sealed Knot. Created in 1968 the Sealed Knot performs re-enactments throughout the country and has evolved into a national organisation of some considerable prestige, a fact recognised by the grant to the Society of its own Coat of Arms Ruperts are a regiment in The Sealed Knot. Created in 1968 the Sealed Knot performs re-enactments throughout the country and has evolved into a national organisation of some considerable prestige, a fact recognised by the grant to the Society of its own Coat of Arms in 1983. 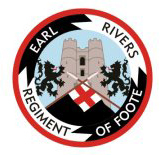 The Earl Rivers' Regiment of Foote has been active in the Thames Valley area for over 35 years. The Regiment regularly gets together throughout the year to hold events in Newbury, Berkshire. This can range from re-enacting mini battles, skirmishes to Living History events and school visits. 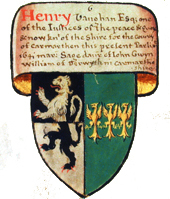 Sir Henry Vaughan's Company are based in and around South Wales.